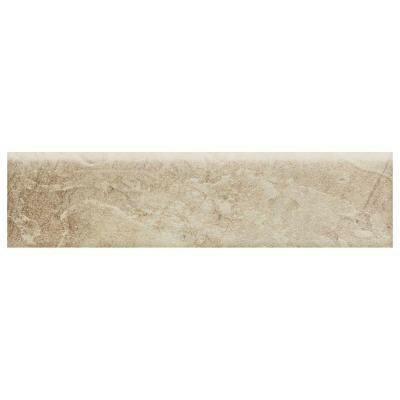 The Daltile Continental Slate 3 in. x 12 in. Egyptian Beige Porcelain Bullnose Floor and Wall Tile looks just like natural slate. It has a high degree of shade variation for a unique look. The grade 1, porcelain tile has a high resistance to abrasion, and it's suitable for heavy-duty residential and commercial floor installations. The frost-proof tile can be used indoors and outdoors. It is glazed with a low sheen. You can buy this product in our internet market. We will be glad if you make the right choice.